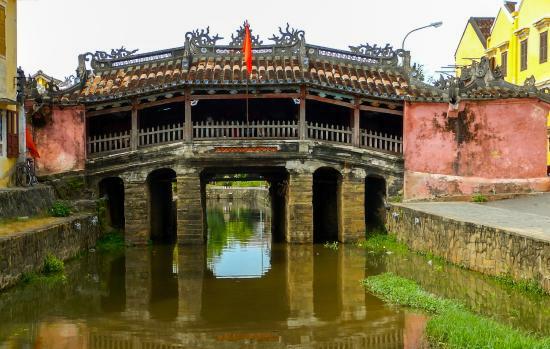 Hoi An is a little paradise for every traveler. Enjoy the beautiful scenery, delicious food, history, unique shopping, and much, much more. 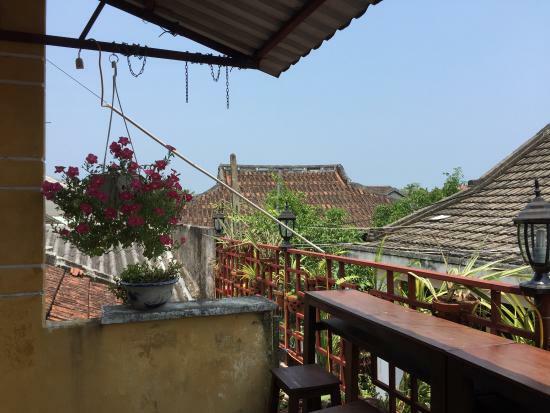 This three-day guide will try to cover all the best things to do in Hoi An, but be prepared - many tourists fall in love with the place, and either want to extend their trip here, or immediately start making plans to come back again soon! 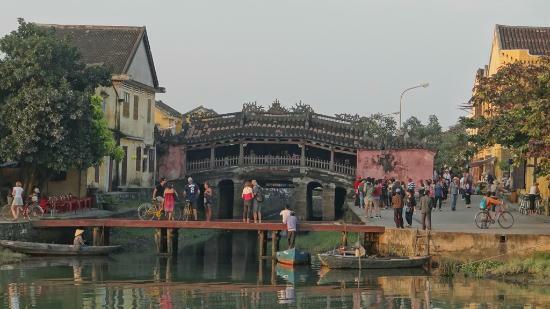 You have to pay a small fee to get into Hoi An Old Town. However if you plan on staying for longer (more than three days) you can reuse the ticket. 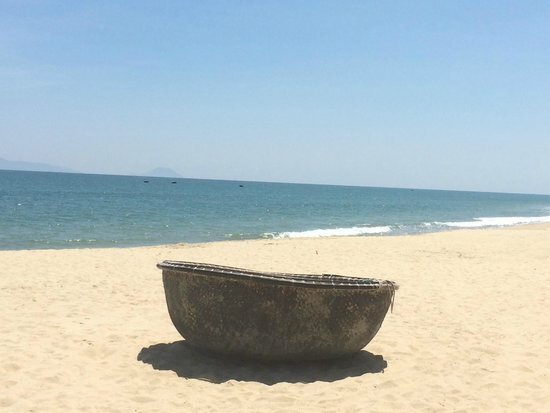 Must-dos in Hoi An: getting fitted for tailor-made clothes, taking a cooking course, and enjoying a beach visit. 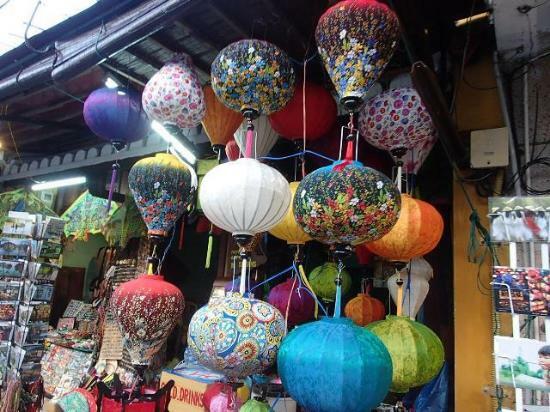 Try to visit Hoi An on th 14th of the lunar month when the whole town is lit up by lanterns. 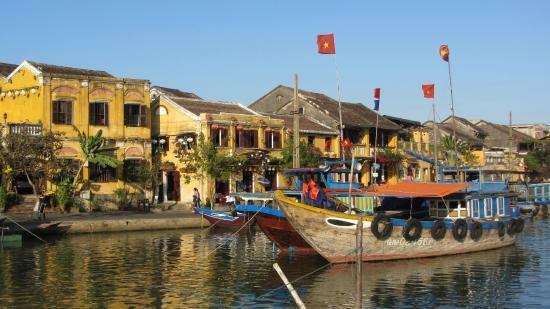 The best time to visit Hoi An is from January to July. The rainy season is from August to December. 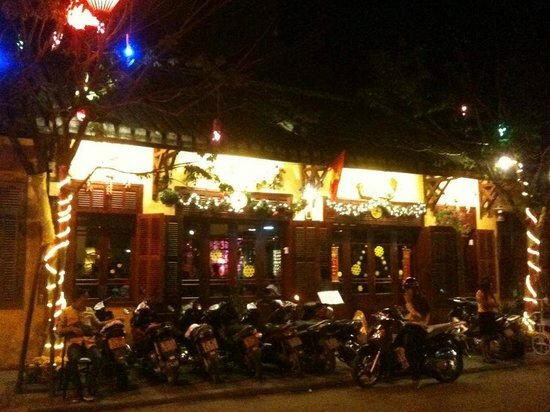 It is easy to and around Hoi An by taxi, motorbike and even bicycle. This cute little town is heaven for photographers, and a relaxing spot for everyone to explore. There is also a food market that will excite any foodie. 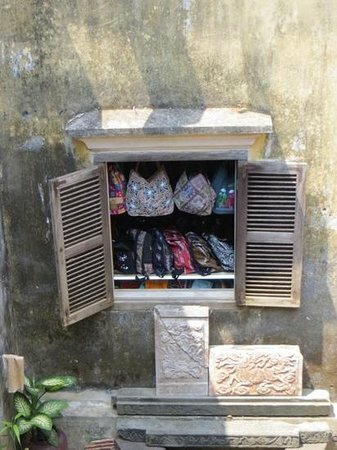 You will be surprised to see how well the ancient town blends in with the modern Vietnamese lifestyle. Take at least a day to just wander around the Old Town, visiting its different places of interest including tourist sites, shops, bars, and pubs. 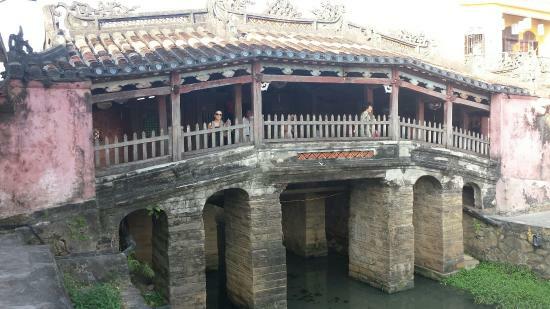 Hoi An people are very friendly. Most people at shops, bars and pubs speak English. It is very easy to get here by taxi, bicycle or motorbike. This is one of the most popular parts of the Old Town which you shouldn't miss. You don't have to spend a long time here, however, it is nice to stop and take a picture and read about the bridge's history. Try to visit the bridge either early morning or late evening to avoid the crowds. 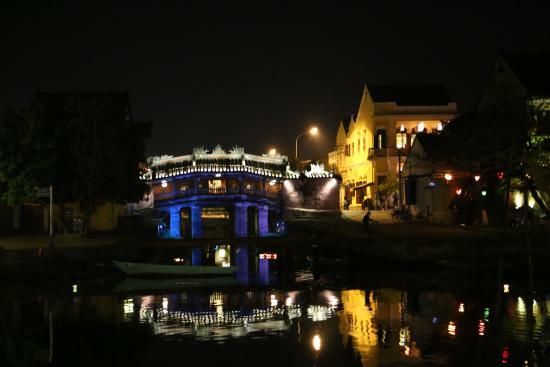 My favorite photo is the bridge in the evening lit up by lanterns. At the West end of Tran Phu St. 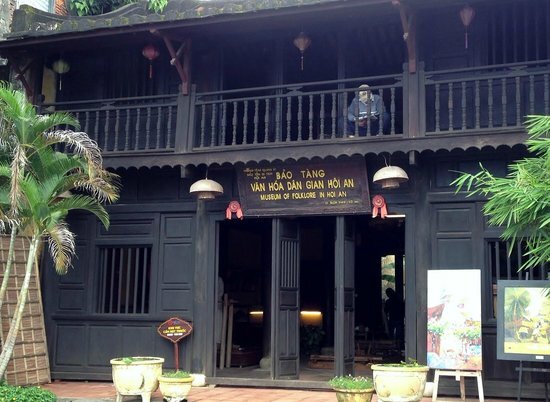 The Old House of Phung Hung is a typical commercial, 18th-century Vietnamese house. Yet the architecture of this 300 year-old house is unique, complete with a beautiful little indoor courtyard, and dark wooden interior with intricate carvings. 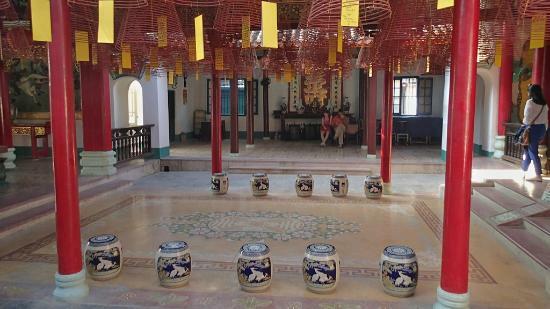 A great place to learn about local culture and values. The souvenirs sold in the house are rather expensive. 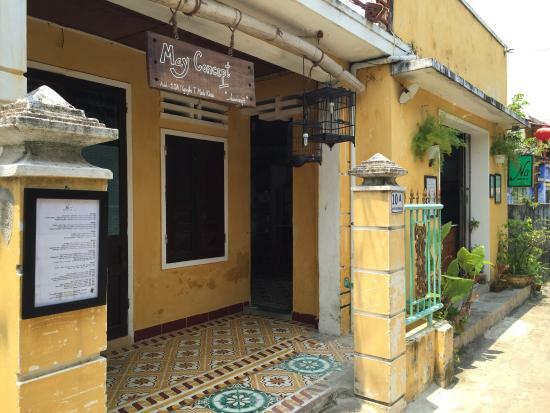 4 Nguyen Thi Minh Khai St. 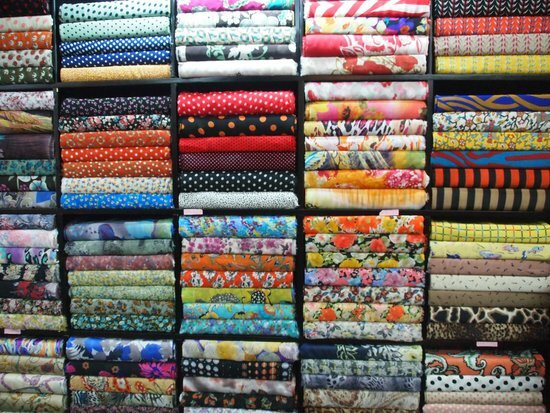 Treat yourself to new, beautiful, tailor-made clothes using Aobaba's fast service. I love the feeling of being served like a queen, choosing the fabric I like, having it designed just for me, and being able to wear it in a matter of 24 hours. 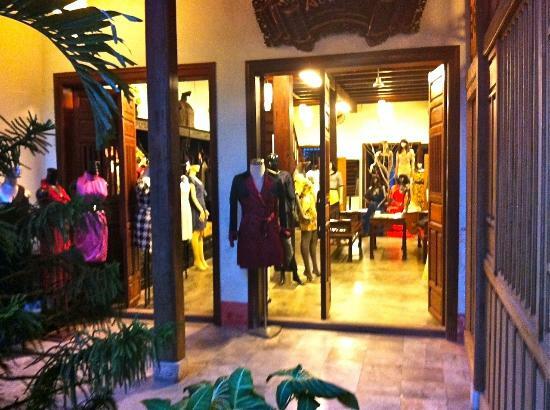 The service is the best, and you can not get clothes like this for a similar price anywhere else in Hoi An. 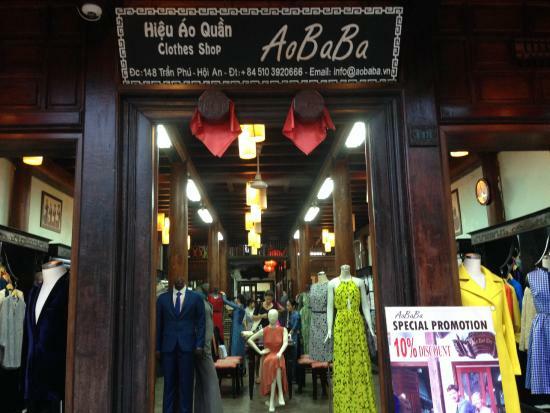 There are a lot of tailor shops like this in Hoi An, and in general they offer a good service. You do not have to give a tip as the price covers everything. 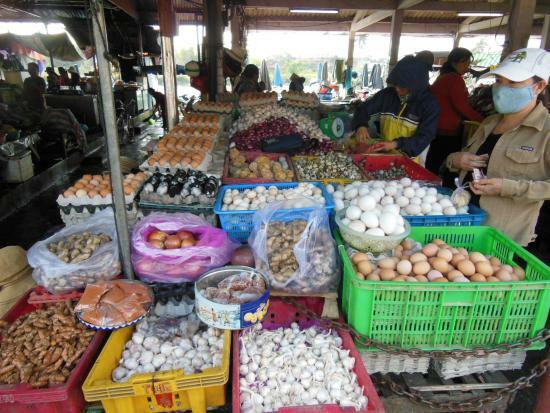 If you want to experience real local life and real local food, then it is worth visiting the central market. 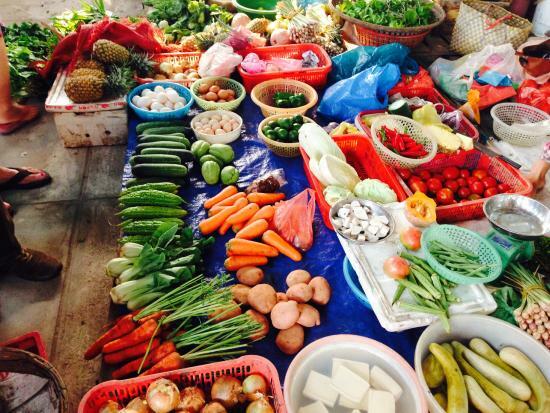 Buy delicious fruits and seafood from here or just stop by one of many food stalls to sample the local produce. The market can smell distinctly of seafood and be quite crowded but it is still an interesting experience. 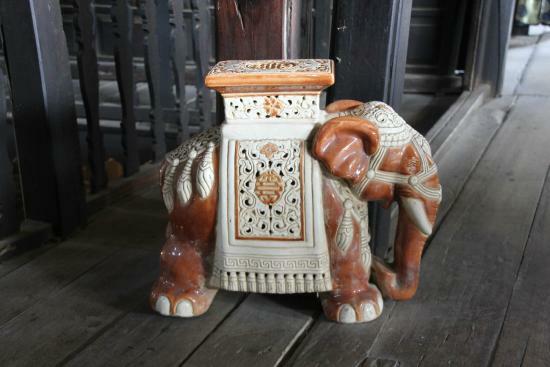 The market sells lovely local souvenirs; do not hesitate to bargain, you will get a good deal. The Central Market is an ideal stop for a quick snack during the day. 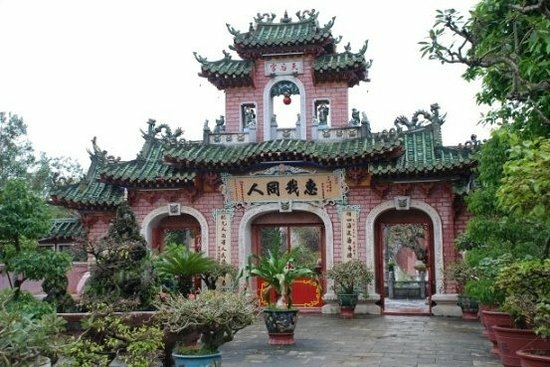 A beautiful pagoda with an interesting history, Phuc Kien is a great work of architecture. 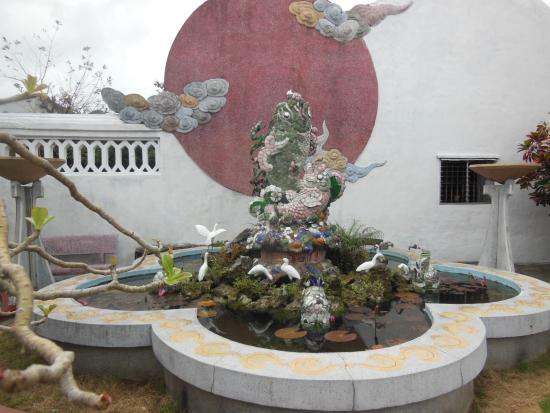 Apparently, the temple is dedicated to the goddess of the sea and the protector of the sailors. I love walking around the temple, alone with my thoughts, it's a very relaxing and peaceful experience. I love visiting the temple in the early morning when it is quiet and not too busy. Get a local tour guide to tell you about the history and architecture of the temple, it will make you appreciate your visit even more. 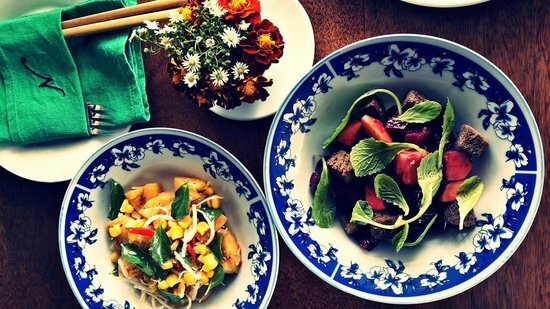 A little cozy place that serves the best Vietnamese food in town. The service at Nu is excellent, the food tastes delicious, and it is very cheap too. Although the menu is quite short, you will be surprised at how great all of the dishes are. 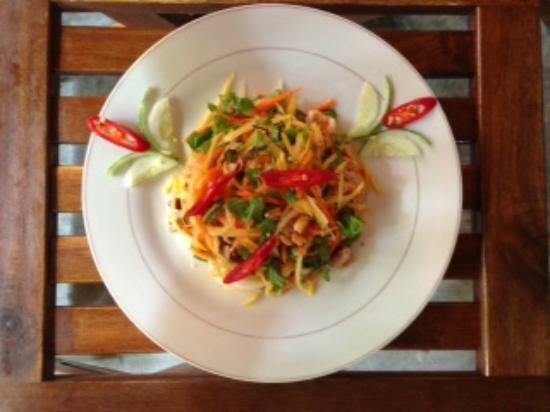 It is better to book a table in advance as it is a rather small restaurant and very popular. 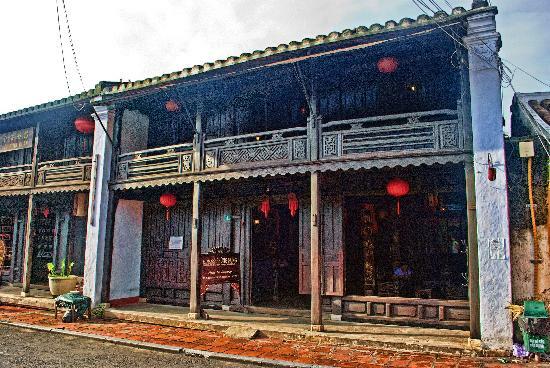 The restaurant is on a small lane, it is quite hard to find but worth it. 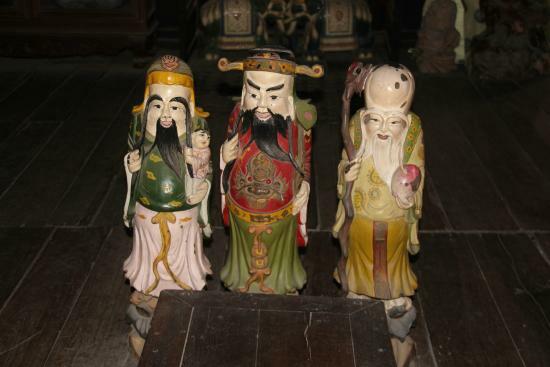 It is not surprising that this museum is known as the museum of folklore. Every display, from a small tool to a dress, has a lovely story behind it. 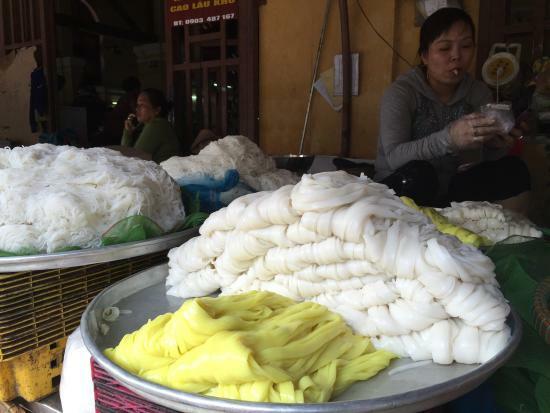 I love to see how the silk is produced because it reminds me of my grandmother who used to be a silk farmer. 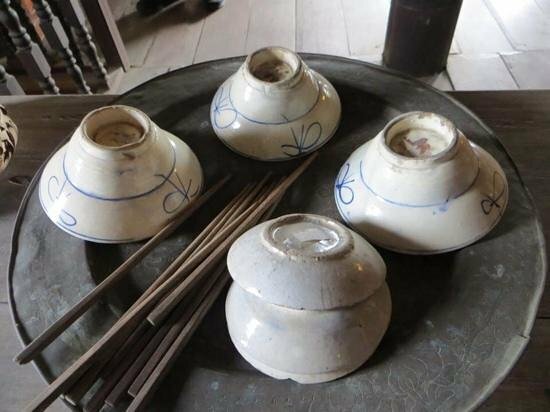 The museum successfully reflects the traditional life of local people. If you love art, you will love this museum. You can buy artworks from here as souvenirs. 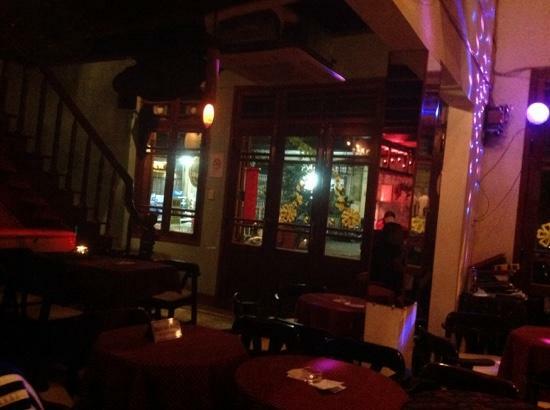 If you are looking for fine dining, Gourmet Corner has a great atmosphere and good food. I love sitting in the tropical garden where the tables are lit with candles. 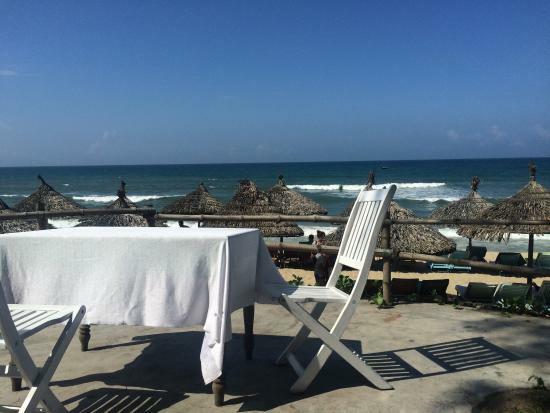 Here you can relax and have a bit of a break from the bustle of Hoi An. 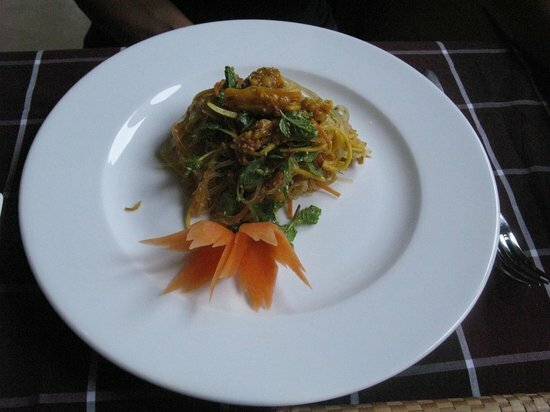 The menu ranges from western to Vietnamese dishes. This is one of my favorite places for dinner, but the breakfast is delicious too. 6:00 a.m. - 12:30 a.m. 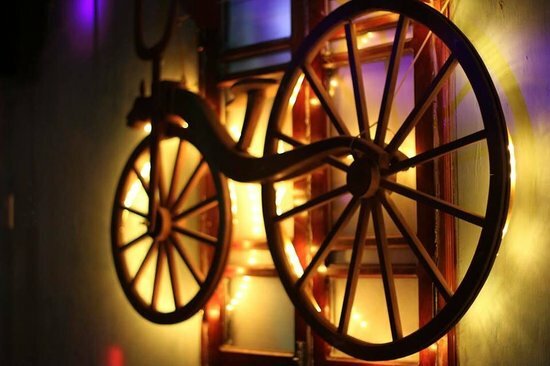 I love the atmosphere of this bar where you can experience talented musicians who play a variety of different musical styles. 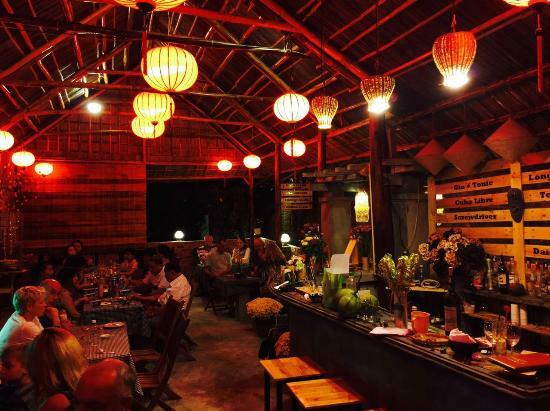 It is an ideal place to relax after a day of strolling around Hoi An. The drink prices are a bit more expensive than at other places, but as entry is free, it's still a good deal. If you feel a song coming on, grab the microphone and sing to your heart's content. The friendly staff will encourage you to participate. A nice sandy beach, calm clear sea, and not too crowded - I love to be lazy and just sit here in one of the private huts looking over the beautiful sea with a delicious drink in hand. I love to go to the beach either early morning or late afternoon. Vendors (most of them local people) are very friendly. If you just refuse politely they will leave you in peace. You can hire a bike to get to this beach. The calm water is perfect for swimming. 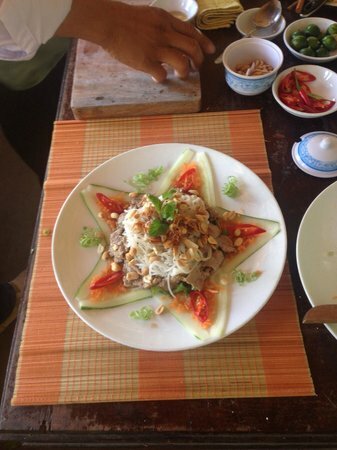 Stop for lunch at one of the best restaurants on An Bang beach, which not only offers the tastiest Vietnamese food, but also hosts interesting cooking courses. My must-try food suggestion is the BBQ seafood and fish in banana leaves. Cocktails here are great too, definitely worth trying. Taxi to An Bang pharmacy, turn right into lane way towards beach. Look for sign on left for An Bang BEACH VILLAGE. Follow sign. 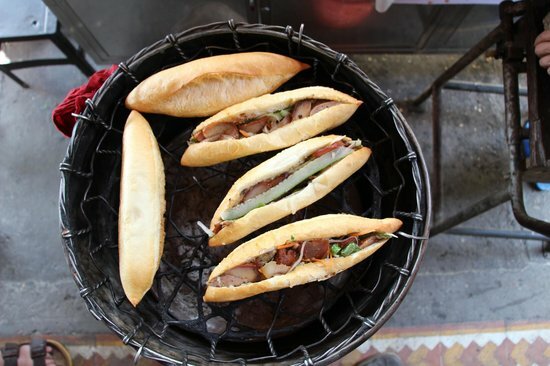 Take a cooking tour that will give you a great experience of real Vietnamese food. 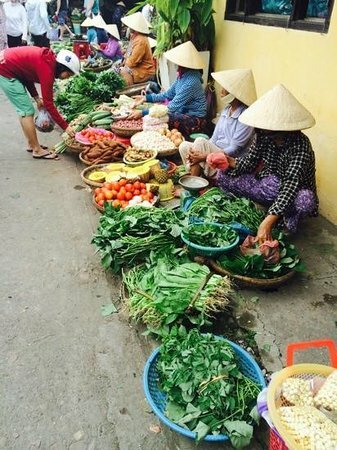 From going to the market and buying ingredients, to the boat trip up the river, to learning how to cook Vietnamese food, everything is organized perfectly by the helpful and friendly staff. The tour is a half-day activity. If you like photography, be prepared; you will love all the scenery around you. 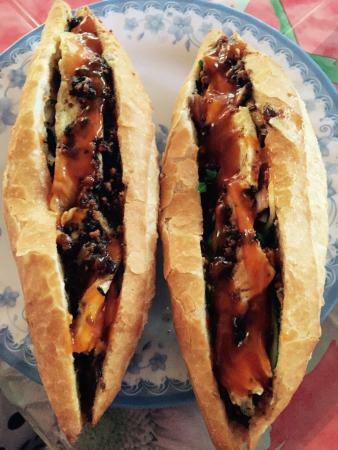 This is one of the best places for 'banh mi' (small baguettes with different fillings) in Hoi An. 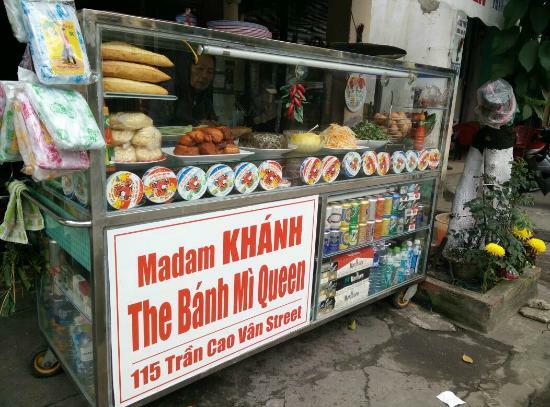 I could eat Madam Khanh's banh mi for breakfast, lunch and dinner and never get tired of it! Buy some and prepare a picnic out of town. It is difficult to find this place but you can ask the locals who will be more than happy to help you. 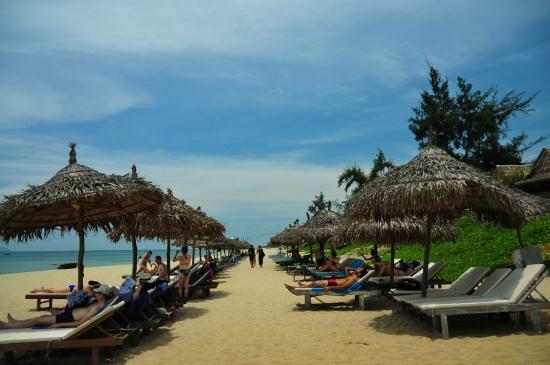 Fancy getting out of the bustle of Hoi An and going to a beach paradise? 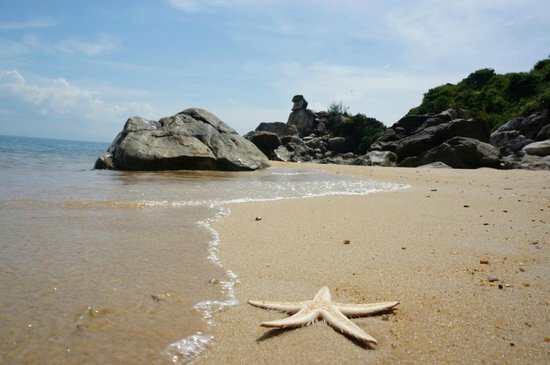 Cham Island is my favorite beach spot in Hoi An. 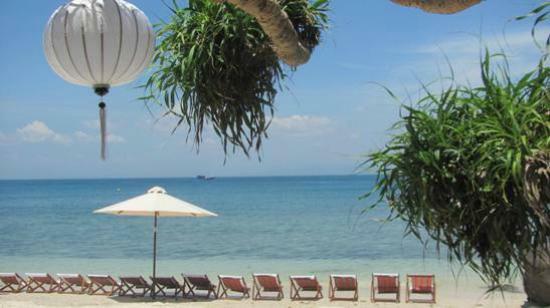 Here you can relax in peace on a long, white sandy beach, swim or dive in clear, clean water, and see beautiful corals. Snorkeling is highly popular here as the water is clear and there are plenty of fish and beautiful corals to explore. The best way to get to the island is by speedboat. 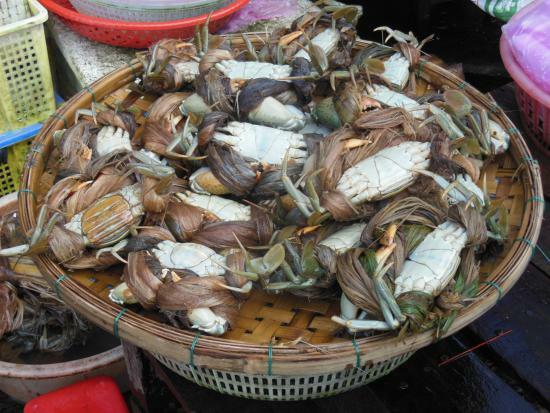 There are not many restaurant choices on Cham Island, so if you are bored with seafood, bring some snacks. Tra Que Vegetable Village is a great place for a family day out. 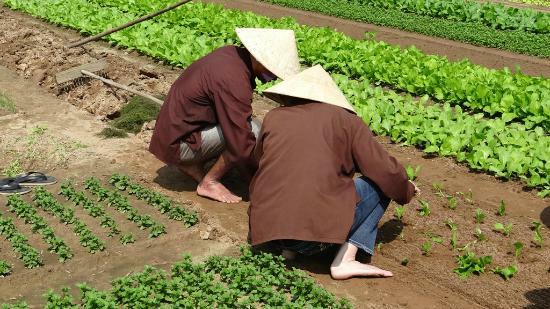 There are activities here to keep everyone entertained, from exploring how to grow vegetables like a farmer, to learning how to cook Vietnamese food. 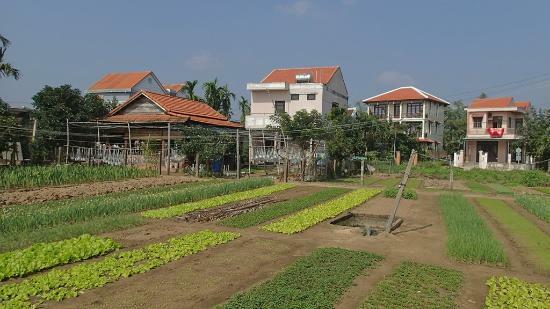 The village also offers picturesque scenery with rice fields, a river, and herb gardens. You should stop at the rice fields and talk to the farmers. They are very friendly and helpful, and happy to stop and show you what they are doing. 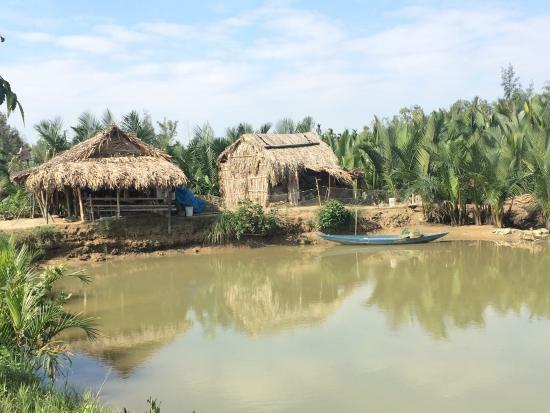 The best way to travel to the village is by bicycle as it is not far from Hoi An town. 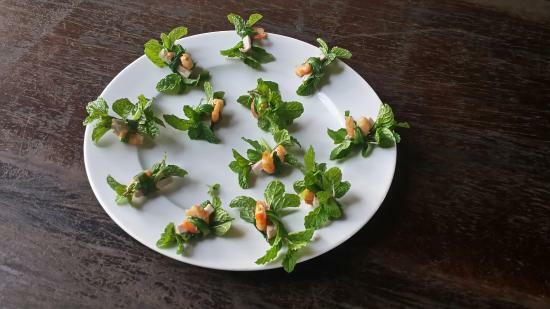 It's great fun to take a cooking class here, where you will learn how to cook traditional Vietnamese food and then eat it!